Jacob Lauinger is an Assyriologist who focuses on Akkadian cuneiform texts of the first and second millennium B.C with an interest in peripheral (i.e. extra-Mesopotamian) dialects of Akkadian. He received his B.A. in classical art and archaeology from Princeton University and his M.A. and Ph.D. in Assyriology from the University of Chicago. 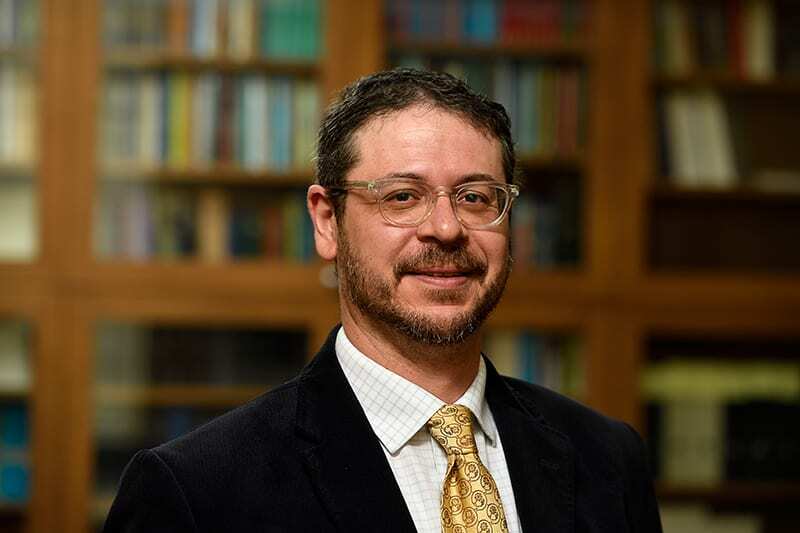 His research focuses on the social, legal, and economic history of the ancient Near East and, in particular, on approaching cuneiform tablets from both philological and archaeological perspectives in order to better define the social contexts in which they were written, used, and stored. In this regard, he is fortunate to serve as the epigrapher for three archeological excavations, Koç University’s Tell Atchana (Alalah) Excavations, the University of Toronto’s Tayinat Archaeological Project, and the Sirwan Regional Project’s Khani Masi Excavations. Currently, Jacob is working to make linguistically tagged editions and glossaries of the Amarna Letters freely available via the Oracc (Openly Rich Annotated Cuneiform Corpus) workspace. As part of this work, he directed the project “Cuneiform from Canaan: Lemmatization, Annotation, and Electronic Publication of the Canaanite Cuneiform Texts from Tell el-Amarna, Egypt,” funded by a Catalyst Award from JHU, during the 2015-2016 AY. His annotated edition of the Idrimi inscription served as a pilot project to this work and is already available via Oracc. Before coming to Johns Hopkins, Jacob was the Gaylord and Dorothy Donnelley Research Fellow at Corpus Christi, University of Cambridge (2009-2010) and an Assistant Professor in the History Department at Roanoke College (2007-2009). Jacob has written a monograph on Alalah and the kingdom of Yamhad, a polity that controlled north-western Syria from approximately 1800-1600 BC. 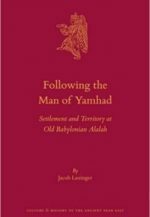 The book, Following the Man of Yamhad: Settlement and Territory at Old Babylonian Alalah, CHANE 75 (Leiden/Boston: Brill, 2015) focuses on cuneiform records from Alalah attesting to the purchase and exchange of entire towns and seeks to embed this economic practice within the social and political context of the time. 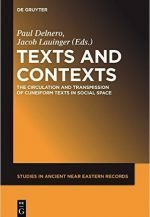 Another volume, Texts and Contexts: The Circulation and Transmission of Cuneiform Texts in Social Space, edited with fellow Hopkins Assyriologist Prof. Paul Delnero, explores the different social, cultural, and historical contexts in which cuneiform texts circulated in order to elucidate the different functions texts could serve in the ancient Near East. Articles include “On UD = tu₂ in the Levantine Correspondence from Tell el-Amarna,” forthcoming in Keilschrift Syllabare & die Methodik ihrer Erstellung; “The Jurisdiction of Legal Transactions at Middle Bronze Age Alalah” forthcoming in Celebrating Alalakh: Proceedings of the 15th Anniversary Symposium at the New Hatay Museum, June 10-12, 2015; a review article, “Approaching Ancient Near Eastern Treaties, Laws, and Covenants,” Journal of the American Oriental Society 136 (2016); “Neo-Assyrian Treaties,” in Context of Scripture, vol. 4 (2016); “Iqqur īpuš at Tell Tayinat,” Journal of Cuneiform Studies 68 (2016); “A Stele of Sargon II at Tell Tayinat,” co-authored with Stephen Batiuk, Zeitschrift für Assyriologie 105 (2015); “Neo-Assyrian Scribes, ‘Esarhaddon’s Succession Treaty,’ and the Dynamics of Textual Mass Production” in Texts and Contexts: Approaches to Textual Circulation and Transmission in the Cuneiform World (2015); “Witnessing at Old Babylonian Alalah: A New Level VII Witness List from the Koç University Excavations at Tell Atchana/Alalah,” Revue d’Assyriologie 108 (2014); “The Neo-Assyrian adê: Treaty, Oath, or Something Else?” Zeitschrift für altorientalische und biblische Rechtsgeschichte 19 (2013); “Esarhaddon’s Succession Treaty at Tell Tayinat: Text and Commentary,” Journal of Cuneiform Studies 64 (2012); “An Excavated Dossier of Cuneiform Tablets from Level VII Alalah?” Bulletin of the American Schools of Oriental Research, 362 (2011); and “Some Preliminary Thoughts on the Tablet Collection in Building XVI from Tell Tayinat,” Journal of the Canadian Society for Mesopotamian Studies, 6 (2011). Jacob has presented papers on these and other aspects of his research at national conferences in the United States and Europe and as invited lectures in the US as well as Australia, Canada, Germany, Turkey, and the United Kingdom.